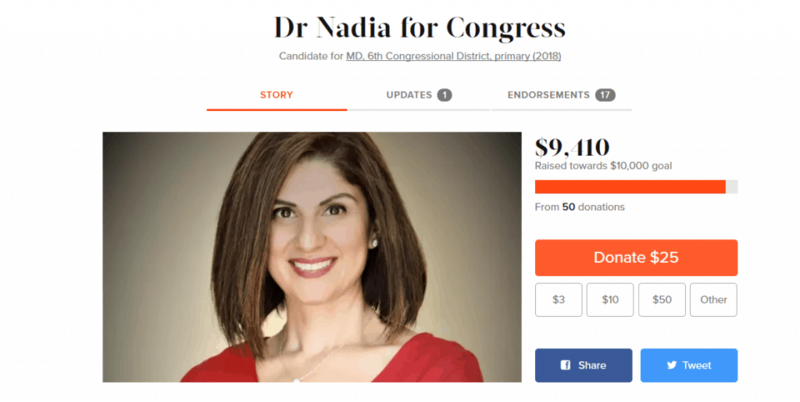 A Miner Detail was the first media outlet to report that Nadia Hashimi is gearing up for a congressional run in Maryland’s 6th Congressional District. 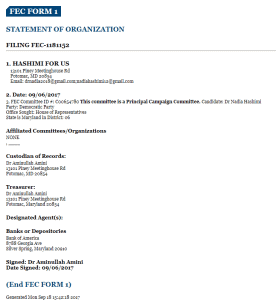 While not officially registered as a candidate with Maryland’s State Board of Elections, Hashimi filed a Federal Election Commission Form 1 – a Statement of Organization – on September 6, 2017. 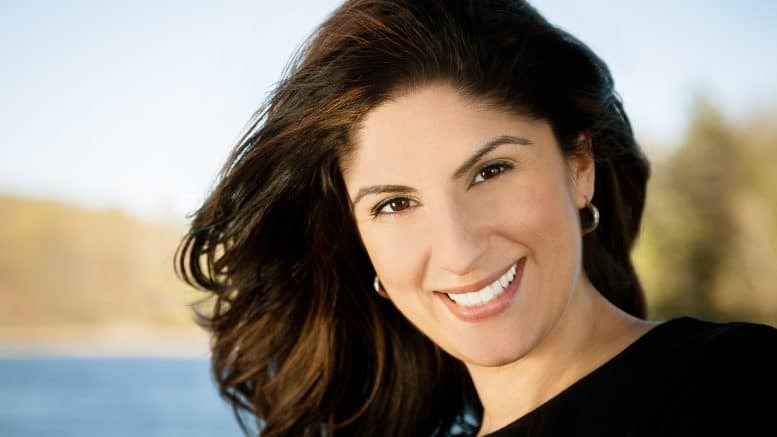 Hashimi – a 39-year-old female Democrat from Potomac, Md. 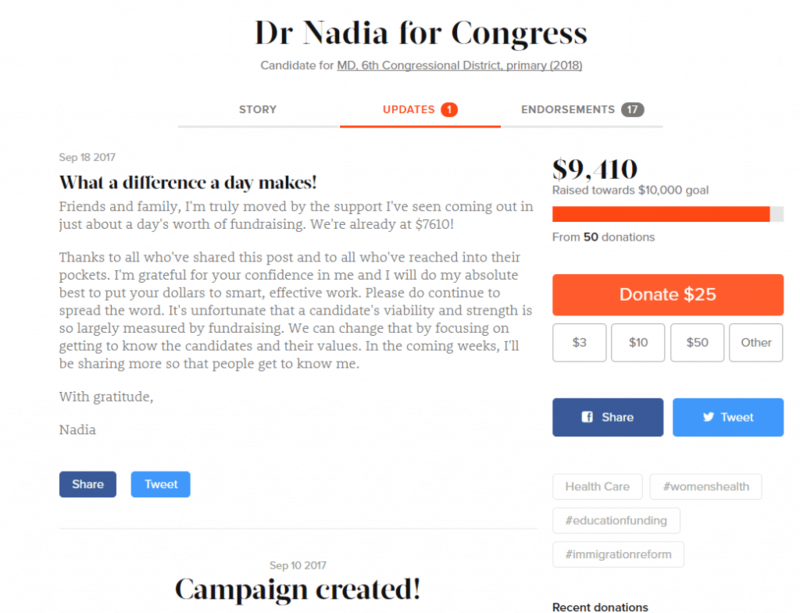 – launched a Crowdpac campaign on September 10 and has since raised nearly $9,500.00. Hashimi’s campaign includes a “story” section, detailing her background and a brief outline of her political platform. My parents taught me the importance of investing in the future and never taking any opportunity for granted. Because of them, I am today a pediatrician, an internationally bestselling writer, a small business owner and a public speaker. And as a mother of four children, I appreciate their sacrifices in a new light. My father once told me he would go hungry before he took a penny from my education fund. He meant it. When he first arrived in the United States, he shared an apartment with three friends. There was a single bed that he was entitled to every third night. He and my mother were married in city hall, a world away from their loved ones. They braved the challenges of starting a new life because they were drawn in by America’s promise that hard work would not go unrewarded. My mother had insisted on becoming a civil engineer in Afghanistan at a time when few women did so. She came to the US by way of Holland, having just earned her Master’s degree in engineering there. She and my father didn’t just talk about the kind of life they wanted – they built it. Every decision they made was guided by the trajectory of scholarship and opportunity they wanted to give their children. It’s time for us to do the same. We need to have policies and programs that consider the future. We need to be guided by the needs of the generations coming up behind us, the ones who deserve a fighting chance at a bright future. And with the right policies around health care, immigration and education, we can create a more robust and stable economy. That is the key to a stronger future for the United States. That is the way to safeguard the American Dream that makes this country a gleaming gem in this world. The stakes are just too high. Every single one of us –the college students, the new Americans, the young woman who has been told what she can’tdo, the parents trying to make ends meet — needs to find a way to be involved in the process, whether by voting, speaking out, or running for office. I’m a problem solver, a listener, a scientist and a do-er. This is a chance to make much needed changes and I take no opportunity for granted. I bring a fresh voice and a diversity of real experiences to the table and I insist on a brighter tomorrow.